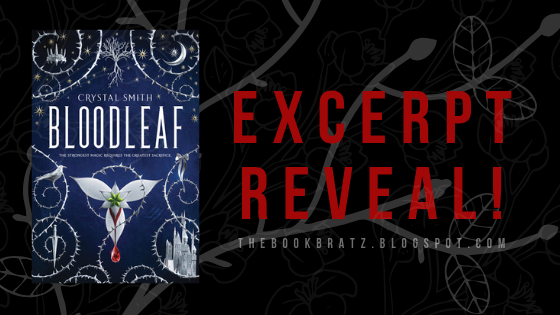 Today we are super excited to be teaming up with Crystal Smith and HMH Books for Young Readers to bring you an exclusive never before revealed excerpt of Crystal's debut novel BLOODLEAF that is out in stores on March 3rd! 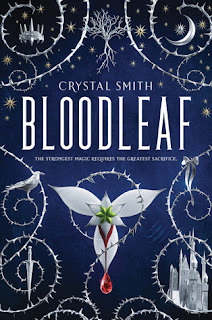 To celebrate the reveal we also teamed up with Crystal to giveaway a copy of BLOODLEAF to one lucky winner! Summary: Princess Aurelia is a prisoner to her crown and the heir that nobody wants. Surrounded by spirits and banned from using her blood-magic, Aurelia flees her country after a devastating assassination attempt. To escape her fate, Aurelia disguises herself as a commoner in a new land and discovers a happiness her crown has never allowed. As she forges new bonds and perfects her magic, she begins to fall for a man who is forbidden to rule beside her. But the ghosts that haunt Aurelia refuse to abandon her, and she finds herself succumbing to their call as they expose a nefarious plot that only she can defeat. Will she be forced to choose between the weight of the crown and the freedom of her new life? “You look lovely, Princess,” Toris said. “That color suits you.” “Thank you, Toris,” I said through a tight smile. He absently straightened the place setting, his rings — of which there were five on each hand, one for each finger — glinting. Mother said he’d been an academic once, a man with an unquenchable curi- osity for history, who’d traveled far and wide collecting myths and artifacts, who had won her cousin Camilla’s love with his humor and wit. Losing his wife changed him, Mother said. But I remembered Camilla well; she was sweet and kind and lovely as a summer’s day. The Toris of my memory was exactly as detestable as the one currently straightening the silverware into precise and even parallels. If ever there had been a different version of this man, it was gone before I was old enough to recall it, long before Camilla died. I felt my lip curl. In the eight months between Camilla’s and my father’s deaths and my brother’s birth, Toris insinuated himself into my mother’s circle. Weren’t they both grieving spouses? But everyone knew there was more to it than that; because Renalt’s crown could only be passed to a male inheritor, our position would have become instantly precarious if the baby was a girl. To remain in power, Mother would be forced to marry, and marry quickly. Toris was the logical choice. Everyone said so. I was thankful every day that Conrad turned out to be a boy. With a son to inherit, there was no need for Mother to marry; indeed, doing so might weaken Conrad’s royal claim. Conrad’s birth saved me from a lifetime with Toris as stepfather. Or king. I didn’t know which one would have been worse. “Why would you remember her name?” He looked down his nar- row nose at me. “That is exactly the kind of thing that makes people wary of you. Your sympathies are suspect. Be warned, it’s only a mat- ter of time before I run out of Hildas to distract them with.” A smile crept across his face. He’d convicted a woman who was almost cer- tainly innocent, and he wanted me to be thankful that he’d done it, and would do it again. I gripped the stem of my goblet so tight, my fingernails bit into my skin. Hilda would haunt her daughter-in-law, but I shared the blame in her death. It was a special talent he had, to send a needle straight into my heart through the tiniest flaw in my armor. It wasn’t that Lisette cared for Kellan that way — I sincerely doubted she did — but that Toris knew I did. I took a breath. Well, I now knew a few of the chinks in his armor, too. An oily little smile played on his lips, making it clear that he was looking forward to it. Doesn't that excerpt make you want to read more?! Enter below for a chance to win a copy of BLOODLEAF! Winner will be emailed and have 48 hours to respond or a new winner will be chosen! The Book Bratz & Crystal are not responsible for any lost or damaged packages! Thank you for stopping by and checking out the BLOODLEAF excerpt. We hope you enjoyed it as much as we did! 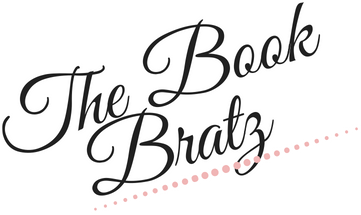 Be sure to check back soon for an interview with Crystal and Amber's review of BLOODLEAF! Right?! I’m obsessed with the cover 😍 I hope you enjoy when you read it! I can't wait to read Bloodleaf, it's one of my most anticipated books of 2019! I can't wait until Bloodleaf. It's one of my most anticipated. It sounds so good. I love the cover! The storyline sounds great, and I am looking forward to it.